Would you like to enjoy the beautiful Christmas markets in Bratislava in November and December this year? Come to the city between November 24th and December 22nd! The Christmas markets in Bratislava are really fantastic, and they are very authentic. Here you can taste a whole lot of local food, local drinks, local snacks, and of course buy hand-made products from Slovakian artists. 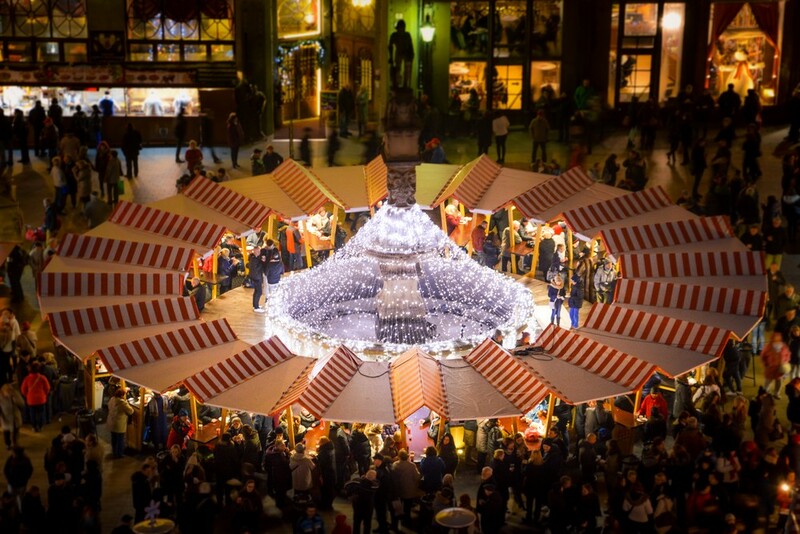 The primary markets are located only a few hundred meters away from one another, meaning that you can walk between the two Christmas markets throughout the day and combine it with some Bratislava sightseeing. Bratislava is a cute little city by the Danube, and you should consider whether you want to spend several days in Bratislava, or simply do a day-trip to Bratislava instead. Lots of people travel to Bratislava and stay at a nice hotel there, but during their stay, they do day-trips to Budapest, Prague, and Vienna. The three mentioned cities have even larger Christmas markets, and especially Vienna has beautiful markets. The Austrian capital is less than an hour from Bratislava, making it ideal for a day trip. You can, of course, decide to reside in one of the other mentioned cities and do a day-trip to Bratislava instead. Accommodation is much cheaper in both Prague and Budapest, while Bratislava is a more expensive city, and Vienna is the most expensive of them all. Do you have any questions or comments related to Bratislava or the Christmas markets in the city center? Use the comment field beneath!